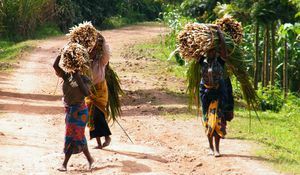 The N-Power Scheme has been a success, but has been crippled by the lack of demand from the labour market. For years, unemployment has been a significant economic and social issue in Nigeria. Realising this, the government established the N-Power program to deliver better employment opportunities and broader skill sets to Nigerian youth. Today, Nigeria's unemployment rate stands at 18.8%, and with youth unemployment (15-24) at 33.1%; there is definite scope for improving labour conditions. The N-Power program is arguably the most popular social intervention programme executed by the Buhari administration. Launched on the 8th of June 2016, the scheme was designed to aid Nigerians aged 18-35 in acquiring relevant skills to become primary players in the domestic market and solution providers within their communities. The programme covers paid skill acquisition initiatives in health, agriculture, technology, and teaching. Besides rapid population growth and incompetent leadership, Nigeria’s youth unemployment is worsened by a lack of employable skills. This applies both to formal skills, as a result of the country’s poor education system, and the vocational and entrepreneurial skills needed to make your own way. The N-Power scheme was birthed to bridge this gap. 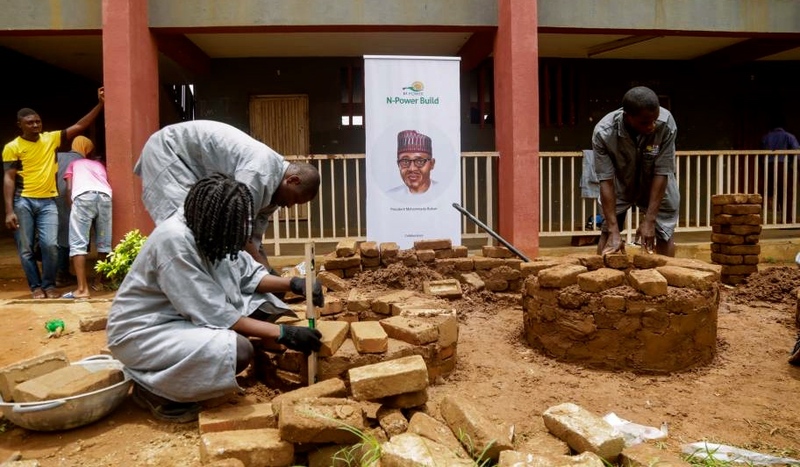 In its first year, it recorded 200,000 happy beneficiaries and now has 300,000 young Nigerians in paid work, adapting necessary skills in the country’s public service. Many of these youth have praised the scheme for transforming their lives by better positioning them in the labour market. Anecdotal evidence is useful but tells us little about the aggregate impact of the N-Power scheme on youth unemployment and economic development. And data, where it exists, is unflattering. Nigeria's youth unemployment rose from 21.5% in January 2016 to at least 33.1% today, with even more (34.2%) classed as underemployed by the National Bureau of Statistics. That said, the rise in youth unemployment during the period is merely suggestive, and does not mean that the N-Power scheme was bad for the labour market. Who knows, youth unemployment may have been much higher without it. Moreover, while N-Power strives to improve the quality of labour supply by training youths, it cannot affect the demand for labour in the economy. So, perversely, creating better-skilled workers without a corresponding increase in modest employment would leave the economy with highly skilled but unemployed youth. Each participant stays on the scheme for two years before they are retired. The logic is to make way for a new crop to benefit from the scheme as opposed to keeping the same set of individuals within the system. Ideally, more people are reached, and those retired from the system are better equipped to gain meaningful (self) employment. But it is ironic that a scheme aimed at preparing youths for full-time jobs has no clear “graduation” plan to ensure that these youths actually get enrolled in said jobs in the long run. The old beneficiaries are plunged out of the paid volunteer system and back into unemployment, raising further questions about the long-term benefit of the scheme. The large annual influx of youth into Nigeria's labour force is a further dent in the N-Power approach. The number of prospective workers far outstrips available jobs – the number of people actively seeking paid employment rose from 77 million in 2015 to 85 million just two years later. The rapid increase in the number of labour market entrants makes it difficult to gauge the true reach of the N-Power Scheme. Looking through the history books, N-power is not Nigeria’s first labour-focused social intervention programme. Each democratic government attempted similar initiatives intended to promote self-reliance and gainful [self] employment for youths. Like N-Power, it is difficult to establish the precise effects of these schemes, whether on youth unemployment or the quality of the workforce, particularly as other policies operated in tandem. SURE-P, introduced in February 2012, investing fuel subsidy savings vocational training, youth empowerment, and community service schemes for the unemployed. 41,000 graduates were reported to have benefitted from the scheme via short-term employment and business expansion stipends. While there were great testimonies from participants, suggesting the scheme had provided them with practical knowledge needed to enter into the labour market, it did not tackle mass unemployment, nor did it address the factors that limit the demand for labour. It paid youth to take up vocational skills and community service, but the industrial sector did not expand to create sustainable vocational jobs. It created a mini-population of skilled but unemployed workers. What do we learn from all this? 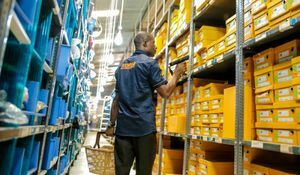 Schemes like N-Power may be good at boosting the employability of workers, but they are impotent in the face of Nigeria's exploding labour market, corruption, and wilting economy. We would only be able to fairly assess the impact of a scheme like N-Power when it is matched by similar efforts to boost labour demand and tackle other causes of Nigeria's frightening youth unemployment.